Selecting the right mechanical engineering firm for designing laboratory mechanical systems is of paramount importance. Most laboratories require validation to verify that the mechanical systems are performing as required. Other laboratories simply can’t be used as originally intended if the mechanical systems are not functioning properly. Many laboratories rely on the mechanical systems to keep diseases from contaminating the laboratory occupants. A.L.M. Consulting Engineers has a track record of engineering, dependable and safe mechanical systems for laboratories. 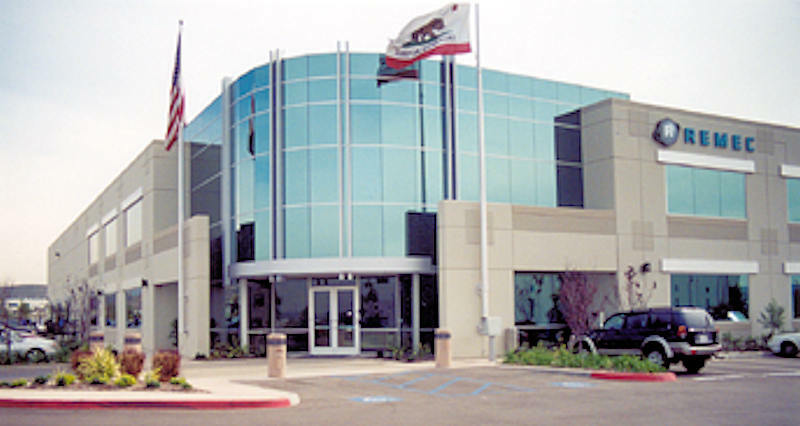 General Atomics Building AMT S.M. This is a 8,800 Ft2 Class 100,000 Cleanroom Project. A.L.M. Consulting Engineers engineered a 210 ton water cooled chiller system, 3,000,000 BTU heating hot water system and 1,500 GPM cooling tower water system for this clean room. A.L.M. 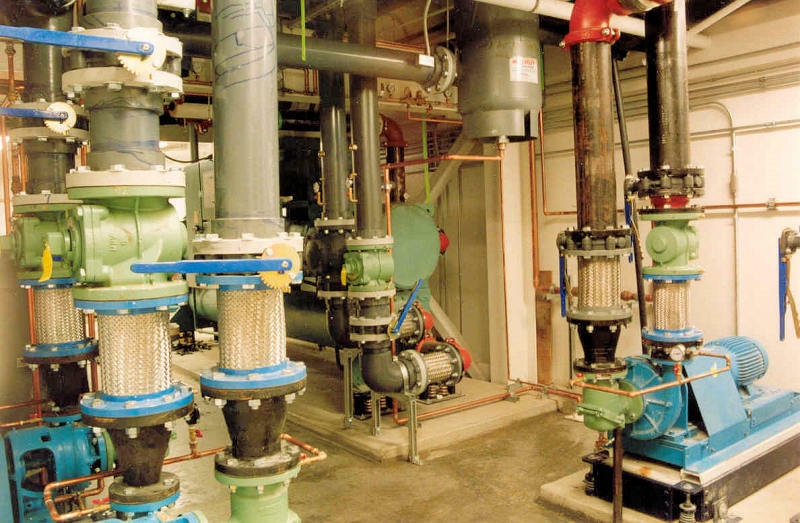 Consulting Engineers, Inc. also engineered the plumbing systems for this facility which consists of processed water piping, compressed air, nitrogen, gas, domestic water, sanitary sewer, sump pumps and an oil interceptor system. This Bioresearch Facility is approximately 24,000 ft2, consisting of Administration Offices, Research and Development Laboratories, Production Laboratories and five Dry Rooms. 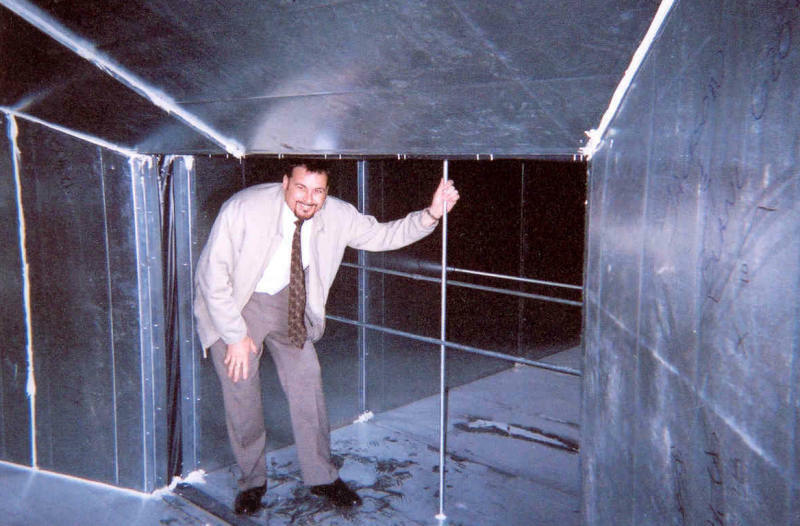 Each Dry Room must maintain below 20% relative humidity year round. These rooms are approximately 3,300 ft2 and are in operation 24 hours a day. Alarms will sound and all work is stopped if the Dry Room’s relative humidities exceed 20%. A.L.M. Consulting Engineers engineered “one of a kind” mechanical systems that were specifically built for Syntron’s Dry Rooms to meet their stringent critical requirements. A.L.M. Consulting Engineers also engineered a condenser water cooling system used to cool Syntron’s Lyophilizer. 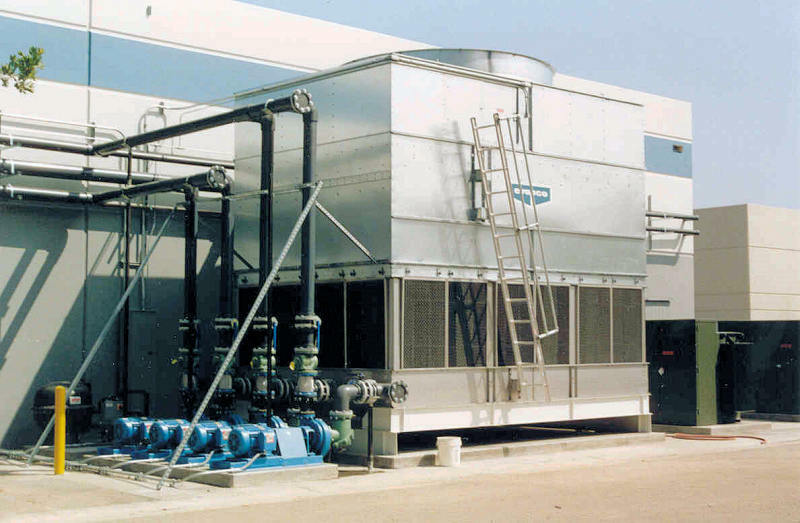 The condenser water system consists of a cooling tower, condenser water pump, sump pump, chemical water treatment apparatus and a sophisticated control system. 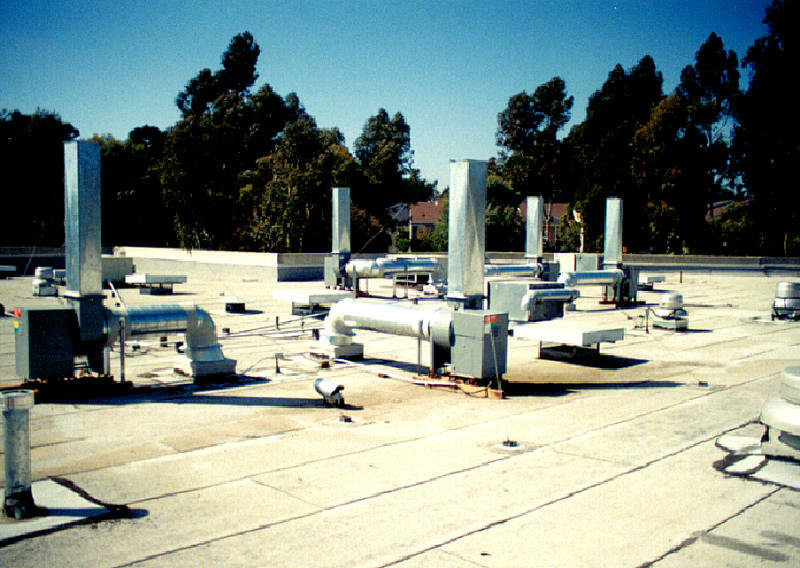 Several several dust collection systems were engineered for use Syntron’s production process. Exhaust systems were engineered to exhaust laboratory fume hoods. 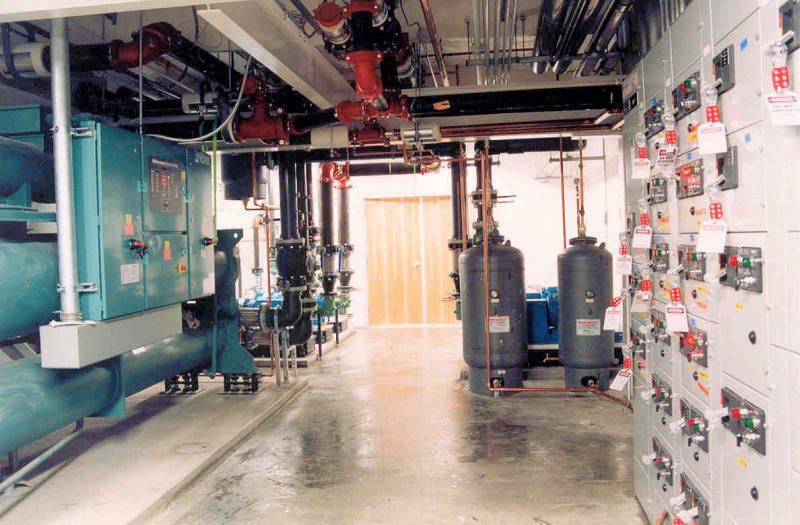 Split system heat pumps were used to serve and maintain the administration office between 70°F to 75°F year round. A.L.M. Consulting Engineers engineered the mechanical and plumbing systems for this 7000 ft2 laboratory project. The mechanical system included HVAC systems, exhaust systems fume hoods and water. The plumbing design included nitrogen, natural gas, deionized water industrial water, domestic water, sanitary waster, sanitary vent, acid waste and acid vent piping systems. This facility is approximately 20,000 ft2 consisting of Administration offices, Production Laboratories and a Class 100,000 Cleanroom. A.L.M. 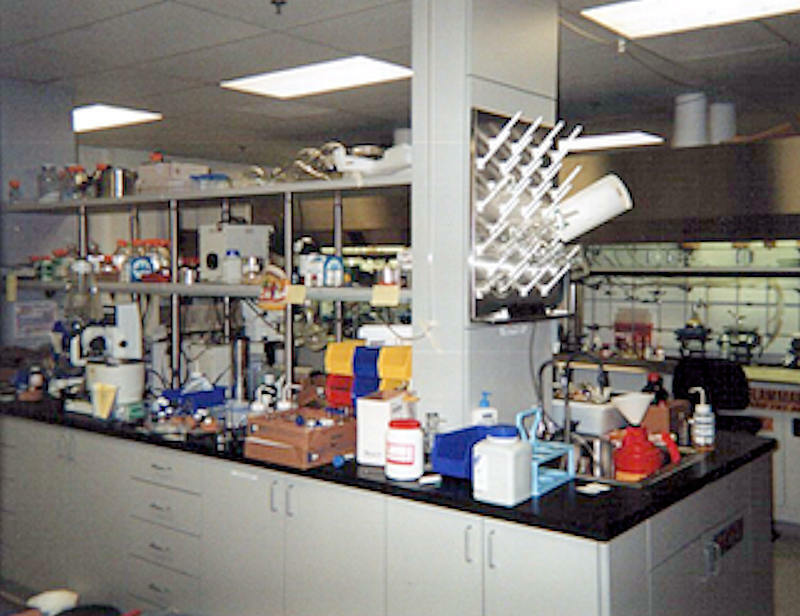 Consulting Engineers engineered 18 exhaust systems to serve laboratory fume hoods and general exhaust systems. We also engineered the mechanical heating and cooling systems to serve this facility. Mechanical systems include an air cooled chiller, hot water boiler, chilled and hot water pumps, expansion tanks, air separators, humidifiers, chilled and hot water fan coils and package heat pumps. A Direct Digital Control Building Automation System was engineered to control and monitor the chilled and hot water systems. The mechanical systems maintain office and laboratory temperatures between 70°F to 75°F. Several laboratories also maintain relative humidity below 50%. A.L.M. Consulting Engineers engineered mechanical and plumbing systems for this 80,000 ft2 facility. Building consisted of Offices, Laboratories, Warehouses and Manufacturing. This facility required specialized heating and cooling systems, compressed air systems and a domestic water pressure booster pumping system. A.L.M. 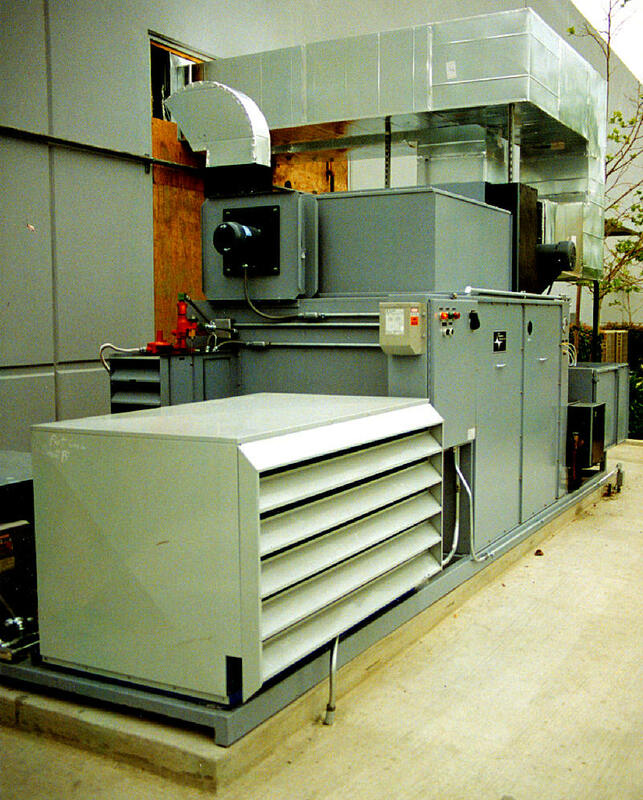 Consulting Engineers provided engineering services for their Laboratories with mechanically consisted of a cooling tower, cooling water pumps, bag filters, heat exchangers, deionized water storage tank, deionized water pump, air separator, make-up air units, exhaust systems, and heating and cooling units with hot gas by-pass systems. A.L.M. Consulting Engineers engineered the mechanical and plumbing systems for three Laboratory “Class 100,000” Clean Rooms and other areas in their facility. The other areas consist of Offices, Cold Room, Dark Room and Laboratories. The plumbing systems include gas deionizer water, Industrial water, waste and vent piping. A.L.M. Consulting Engineers engineered the mechanical and plumbing systems for 6400 ft2 Laboratory project. The mechanical system included HVAC systems, exhaust systems, fume hoods and water.The plumbing design included nitrogen, natural gas, deionized water industrial water, domestic water, sanitary waste, sanitary vent, acid waste and acid vent piping systems.